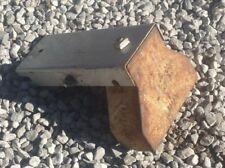 Up for sale is a Sears Suburban tractor hood with inserts. For sale here I have a decent hood and grille assembly from a Sears Craftsman YTS3000 lawn mower. In overall good working condition ready to use with no cracks or issues. Slight separation at top of grille. Paint has a lot of small white spots on it. Should fit other makes and models as well. Mount tabs are 9” apart. Thanks! PA residents will be charged 6% sales tax. Thanks! 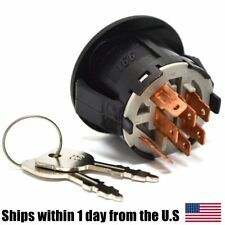 For large items where I don't offer shipping please check out Uship.com. I am close to a Fastenal location and they also offer affordable 3rd party LTL shipping. Of course you are welcome to pick up any item in person. Thanks! This is the 3 point hitch removed from a 1981 Sears SS-16 Twin garden tractor. There is a weld repair on the coupler that attaches to the rear of the mower. Sears model number 917.253060. I Believe this is a Used Sears Garden Tractor Moldboard Plow. Photos show condition so as is. Up for sale is a Sears Suburban GT18 lower grill. Side piece unbolts with no problem and has no cracks. California Prop 65 - This product can expose you to certain chemicals, which are known to the State of California to cause cancer or birth defects or other reproductive harm. This seat fits various makes and models. Used Sears Suburban Garden Tractor, DIRT PLOW (Fits Sears 3-Point Hitch), Removed In Working Order, Good Shape, Sold As Shown In Photos. LOCAL PICKUP AT OUR LOCATION (Ashland,Ohio) Permitted. Bin # Pallet Rack Back Room. Sears ST/16 Tractor Information Engine - Sears 143.640022 SER-4239E (Tecumseh OH160) - 16HP. Complete tractor is not available for sale. Local pickup is available. Model - 917.25743. No exceptions. Part Number: 181883. Based on the part #, this will fit the following models: 917.275280 and many other models. when applicable. Item Size Item Weight Part SKU#:SC-9231. Part Details. Up for sale is a Sears Suburban tractor SS12 steering shaft. This is an original Sears Three Point Hitch, model #917.253110 and Sleeve Hitch adapter 917.253182. Most of the paint is missing, the lower lift arms do have rust pits, and the threads on the top link had a nasty spot but still works well. 140527, 197725, 581075501. SEARS CRAFTSMAN. 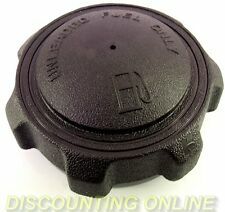 Lawn Tractor / Rider Fuel Tank Gas Cap. One Gas Cap. 2042LS, 2246LS, LT16542, LTH1538, LT1538, YT1942T, YTH20K46, YTH2042, YTH2246 Riding Lawn Mower. The information you have on file with. Sears ST/16 Tractor Information Complete tractor is not available for sale. Local pickup is available. Engine - Tecumseh 143.660012 (OH160) - 16HP. Year - Unknown. Used Sears Garden Tractor Moldboard Plow. Has Coulter as Shown. 10" PLow Bottom. Original condition, surface rust BUT very solid, No holes. Original SEARS sticker on front. Changing Your Mind. Ordering By Mistake. John Deere 316 w/Onan 330 318 Tractor Hydraulic Line - Power Steering Outlet USD 9.99. MTD Yard Machines 20hp/50" Tractor Hood USD 44.99. John Deere F910 F911 F912 F925 F935 F932 Front Mow Tractor Adjustable Seat Mount USD 29.99. Based on the part #, this will fit the following models: 917.275280 and many other models. when applicable. Item Size Item Weight Part SKU#:SC-9166. Part Details. We are simply the best at what we do. Based on the part #, this will fit the following models: 917.275280 and many other models. when applicable. Item Size 65.00 lbs. Item Weight Part SKU#:SC-9161. Part Details. We are simply the best at what we do. Engine - Tecumseh 143.672022 SER 7017E (HH120) - 12HP. Sears 12/6 Tractor Information Complete tractor is not available for sale. Local pickup is available. Serial # - 0467B01732. Item condition: Great deck, very solid with good mandrels. MTD Yard Machines 20hp/50" Tractor Hood USD 44.99. John Deere F910 F911 F912 F925 F935 F932 Front Mow Tractor Adjustable Seat Mount USD 29.99. Nothing else is included, just what is shown in the photos, 1 adjusting bar. Engine - Sears 143.629022/Tecumseh HH100 - 10HP. Sears Custom 10E Tractor Information Complete tractor is not available for sale. Local pickup is available. Serial # - 257. 1966 Sears Suburban 10 Garden Tractor ** STEERING GEAR ** Riding Lawn Mower Part. Condition is Used. Shipped with USPS Priority Mail. New Tecumseh Carburetor w/ Mount Gasket. Fits Many Tecumseh Models Replaces Tecumseh Part Numbers Fits Many Lawn Boy Insight Models Fits Many Lawn Boy Silver Series Models You are responsible for verifying the OEM part number. Item condition: Good usable condition. Deck is solid with good mandrels and blades. One gauge wheel bracket has been welded. John Deere F910 F911 F912 F925 F935 F932 Front Mow Tractor Adjustable Seat Mount USD 29.99. Joes Outdoor Power. when applicable. Item Size Item Weight Part SKU#:SC-9171. Part Details. We are simply the best at what we do. No others compare, even though they try! FULLY TESTED GOOD WORKING CONDITION. MAY FIT MANY OTHER MODELS. No exceptions. Based on the part #, this will fit the following models: 917.275280 and many other models. We carefully wash every part that can safely be washed, oils are drained, and loose parts are carefully attached to larger parts. AYP: 163968, 175442, 175566. Delta: 6900-47P. Our team works hard to find you the best deals and provide you with a wide selection of products. We recycle! Fits Models The best products, the best prices ! Item condition: Good usable condition. Deck is solid with good mandrels. No exceptions. We are simply the best at what we do. No others compare, even though they try! We carefully wash every part that can safely be washed, oils are drained, and loose parts are carefully attached to larger parts. Item condition: Good usable condition. Both rims and tires are in good condition, both hold air. John Deere F910 F911 F912 F925 F935 F932 Front Mow Tractor Adjustable Seat Mount USD 29.99. MTD Yard Machines 20hp/50" Tractor Hood USD 44.99. Engine - Tecumseh HH120 - 12HP. Sears Super 12 Tractor Information Complete tractor is not available for sale. Local pickup is available. Year - Unknown. Used Sears Garden Tractor Moldboard Plow. Has Coulter as shown in photos. 7" Plow Bottom. 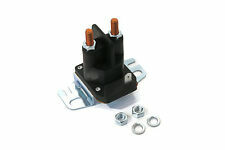 Fits Sears Craftsman Generators Models New Starter Solenoid. You are responsible for verifying the OEM part number. First-Class and Expedited services available. International / Worldwide. Replaces OEM Par t Number s.
Sears Suburban 725 Tractor Information Complete tractor is not available for sale. Local pickup is available. Engine - Briggs & Stratton 19D-0121 01-11000 - 7.25HP. Year - 1964. Sears Super 12 Hydro-Trac Tractor Information Complete tractor is not available for sale. Local pickup is available. Engine - Tecumseh HH160-170019 - Serial 4038E - 16HP.